What do sellers expect in an agent? With Market Leader, you can get a guaranteed number of leads in your desired areas every month that are exclusive–not shared with other agents. Lead inventory is limited, so check availability today by calling us at 800-983-4080 or clicking the checkbox in the form. 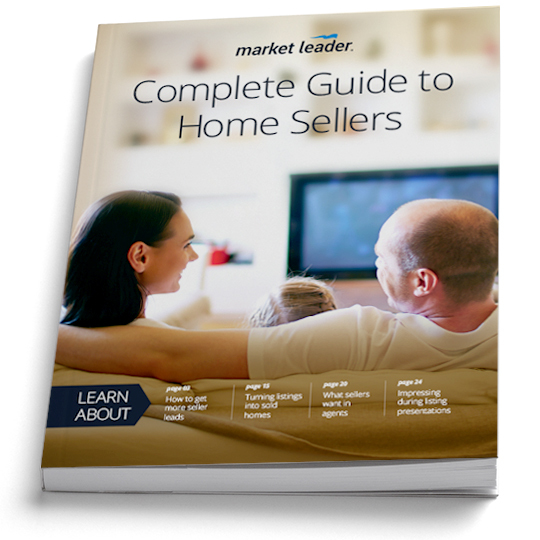 Download the Complete Guide to Home Sellers! Click the checkbox to check lead availability in your desired areas. A pioneer in lead generation and contact management systems, Market Leader has helped thousands of real estate professionals manage and grow their businesses since 1999. We proudly serve over 250,000 agents and teams across the United States and Canada. Copyright © 2019 Market Leader. All rights reserved.